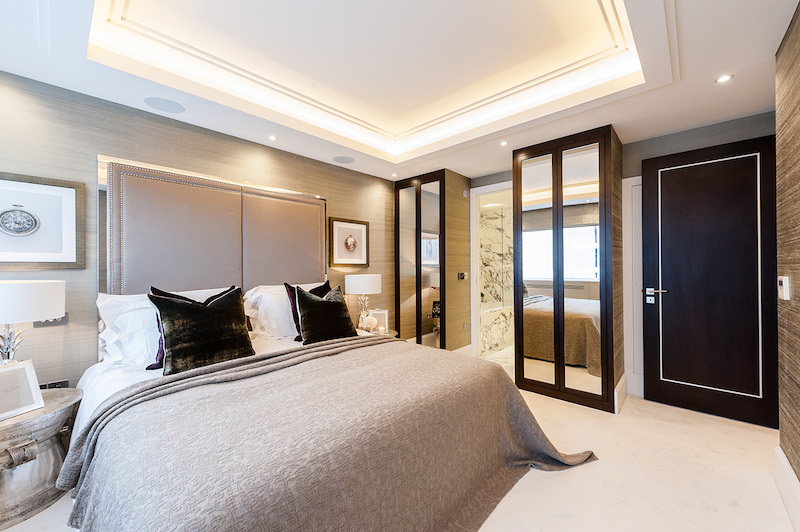 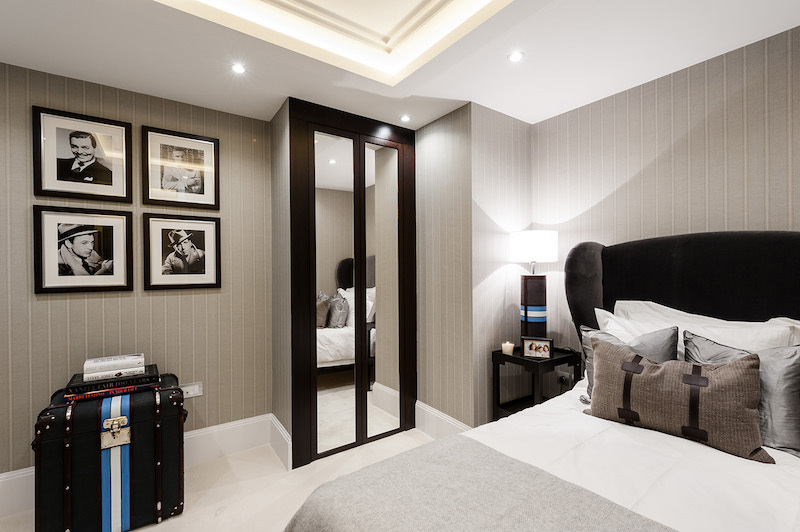 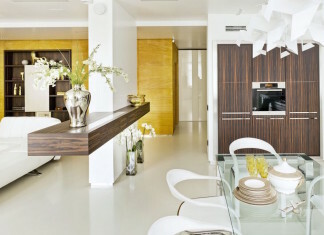 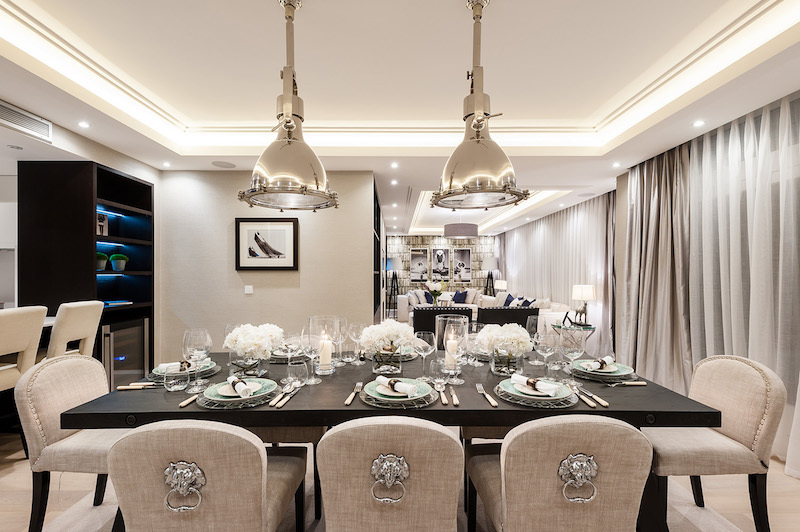 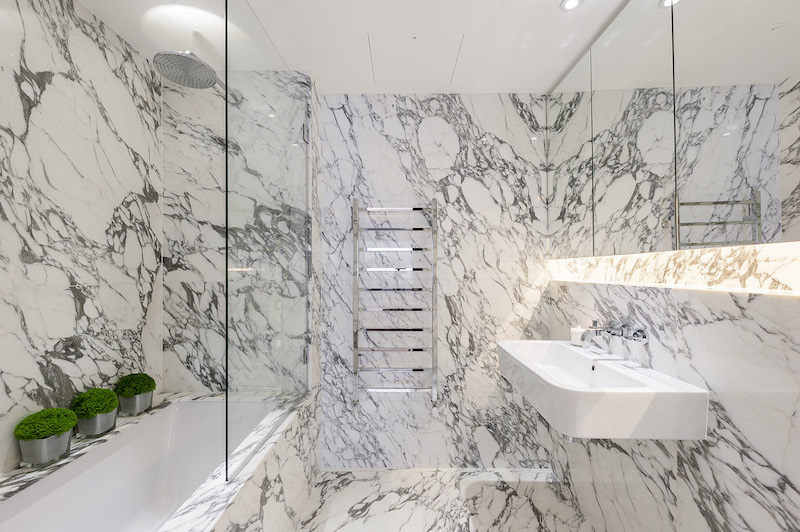 This penthouse in London experienced a complete reconfiguration by Design Box London, giving high-end finishes and sophisticated contemporary interiors with interesting and tailored details. 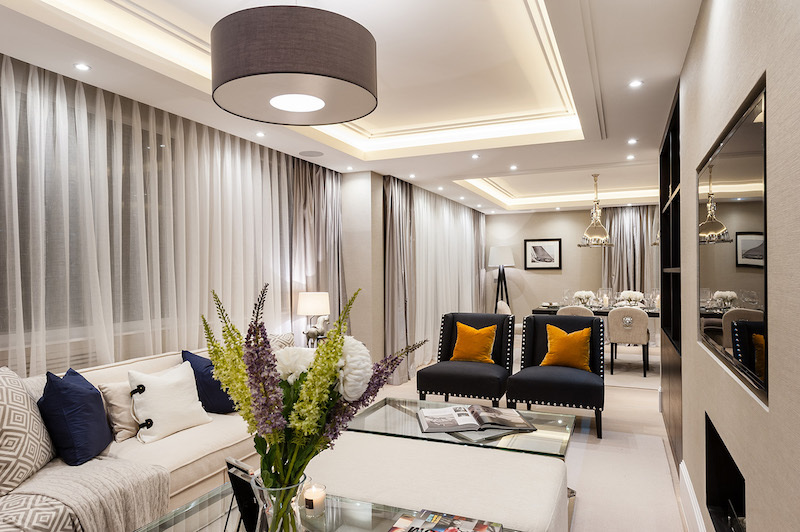 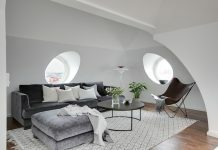 Recessed ceilings in living room and in other spaces of the apartment allowed a soft lighting solution with indirect light, creating a luxurious impression. 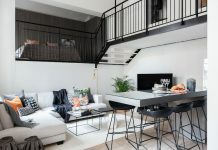 The use of curtains, textiles and other beautiful home decor throughout the apartment make the entity look carefully designed. 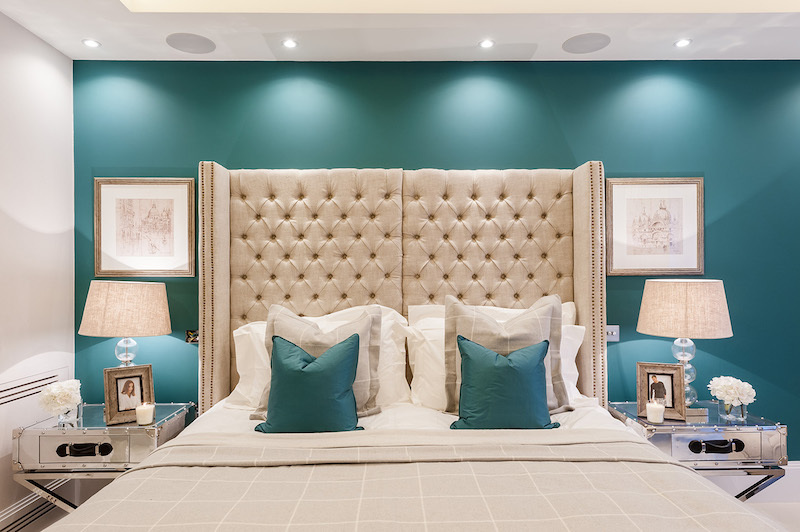 The chrome surfaced pendants over the dining table gives a final touch whereas the vivid turquoise wall color in one of the bedrooms creates a royal atmosphere.